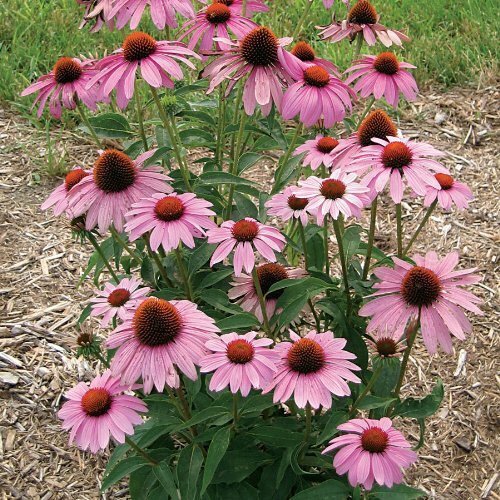 Echinacea, (pronounced Ek-i-nay-see-a), commonly known as Purple Coneflower, is a herbaceous perennial plant that is popular and easy to grow. This daisy-like, lavender flower is excellent for cutting. It's a long bloomer in the garden and is especially attractive to birds, butterflies, and bees. 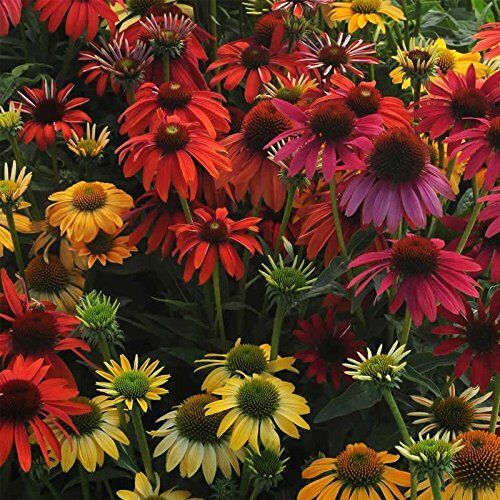 Deadheading helps to prolong bloom time, but if you allow the flowers to dry and go to seed, finches will adore the spiny, brown centers. 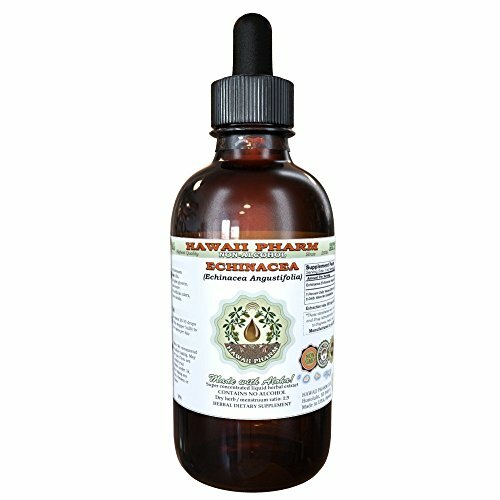 Echinacea herbs are also used for teas. They are a great addition to the flower bed or garden! 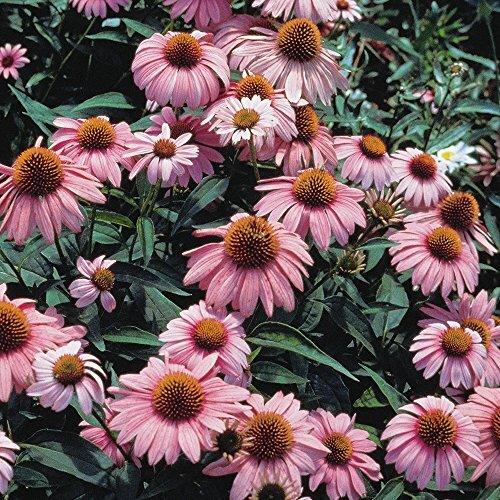 Echinacea purpurea 'Magnus' was the 1998 Perennial of the Year Award winner. With enormous flowers up to 6" across, it's a favorite for the back of the perennial border and beautiful in fresh arrangements. An exceptionally hardy perennial that is heat- and drought-tolerant. Grow in full sun to light shade in average, well-drained soil. Plants grow to 3' tall. Flowers are in full color from July-September and attract butterflies. The partial shade wilflower seed blend is designed for those hard to establish areas which are shaded. Works well with about 40% sunshine. Made up of 17 species of wildflowers (Annual. s 55%, Perennial. /biennials 45%). Flowers should grow to a height of 24-30 inches. Mix Includes: Chinese Forget-me-not, annual Candytuft, Baby Blue Eyes, Lance-Leaf Coreopsis, Purple Coneflower, Annual Baby's Breath, Rocket Larkspur, Corn Poppy, Chinese Houses, Shasta Daisy, Sweet William, Spured Snapdragon, Johnny Jump-Up, Clarkia Mix, Garden Columbine, Dwarf Columbine, Forget-Me-Not, Tussock Bellflower, Monkey flower. Purple coneflower Echinacea purpurea (asteraceae) a robust, drought tolerant perennial, native to the midwestern and southeastern United States. Flowers are arranged individually on sturdy, elongated stems with soft lavender or purple petals surrounding an iridescent red-orange, coned center. Prefers full sun to partial shade in fertile, well-drained soils. Absolutely stunning!!! Average planting success with this species: 70% height: 2-3 feet germination: 15-30 daysÍ optimum soil temperature for germination: 70-75f sowing depth: 1/8" blooming period: June - October average seeds per pound: 117,000 seeding rate: 12 lbs. 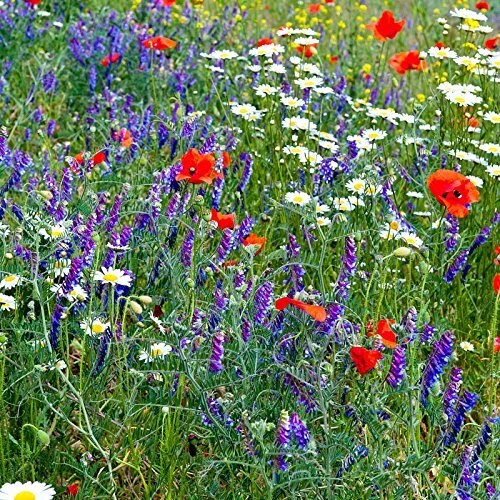 Per acre suggested use: borders, meadows, mixtures, floral gardens. 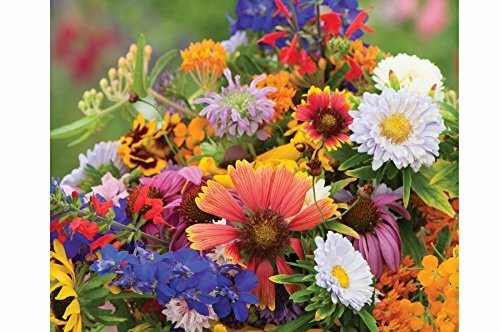 Miscellaneous: an excellent variety for cut flower arrangements with a vase life of 5 to 7 days. Propagation from root cuttings is reliable if performed in the fall. bulk seed packed in sealed bags. All our plants are organicali grown: Purple Coneflower is practicaly inderstructible. It sub-zero hardy and withstands heat, grows in dry locations and loves poor soil. Plant 18-24" apart. Thrives in full to partial shade.. Blooms from mid-summer to fall on 2-3' stems. Deer resistant. Perennials in zones 3-9. 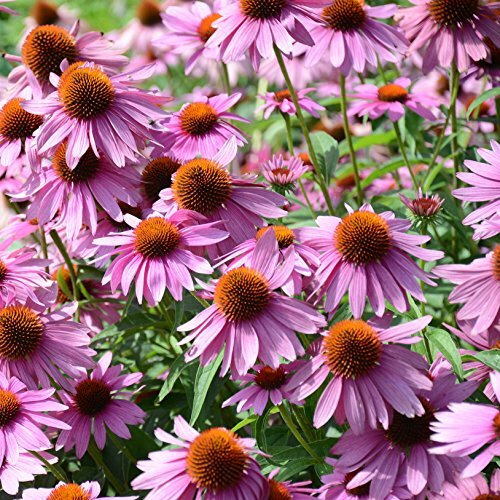 Looking for more Grow Purple Coneflower similar ideas? Try to explore these searches: Seiko Wall, Mount Outrigger Base, and Jasmine White Tea. 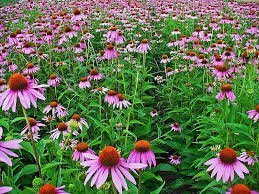 Look at latest related video about Grow Purple Coneflower. Shopwizion.com is the smartest way for online shopping: compare prices of leading online shops for best deals around the web. 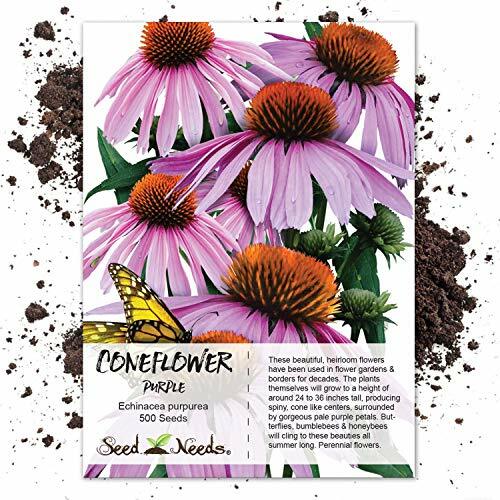 Don't miss TOP Grow Purple Coneflower deals, updated daily.